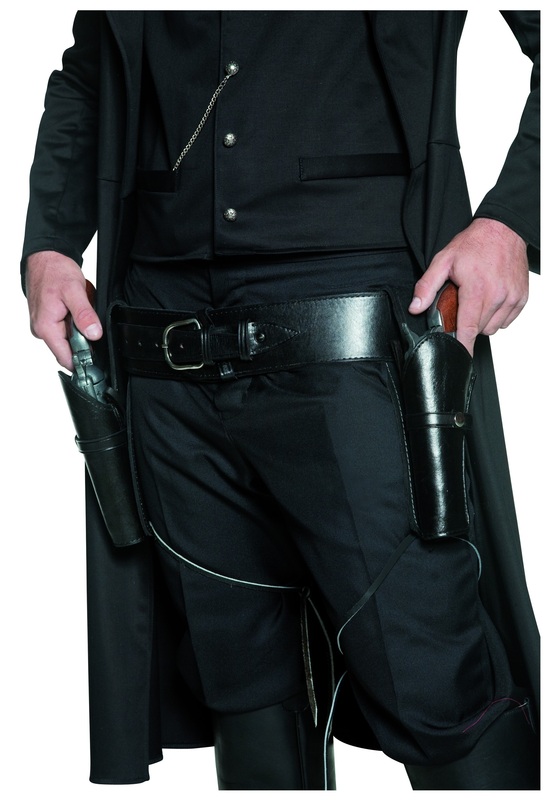 Adjustable from 37" to 42"
Well partner, you may think you’re the new sheriff in town cause your fancy duds and your cool cowboy hat but you ain’t going to scare none of them outlaws without a pair of pistols. And how you reckon you’ll carry your guns with no holster? Well worry no more, friend. We are here to help. Feast your weary eyes on this fine accessory. We call it out Western Sheriff Gun Holster… sounds kind of perfect for the predicament ya got yourself in there, ay law dog? This fine accessory will be perfect for your sheriff costume or heck even for a western bandit outfit. No matter what you plan on doing on your adventure to the old west this Halloween we can assure you that this holster will give you the upper hand in any stick situation. You’ll have the quickest draw in the wild west! Trust us, you get in one duel and word will spread. Before you know it you'll be the most feared gunfighter in all the West!... or, at least, at whatever Halloween party you attend this year.